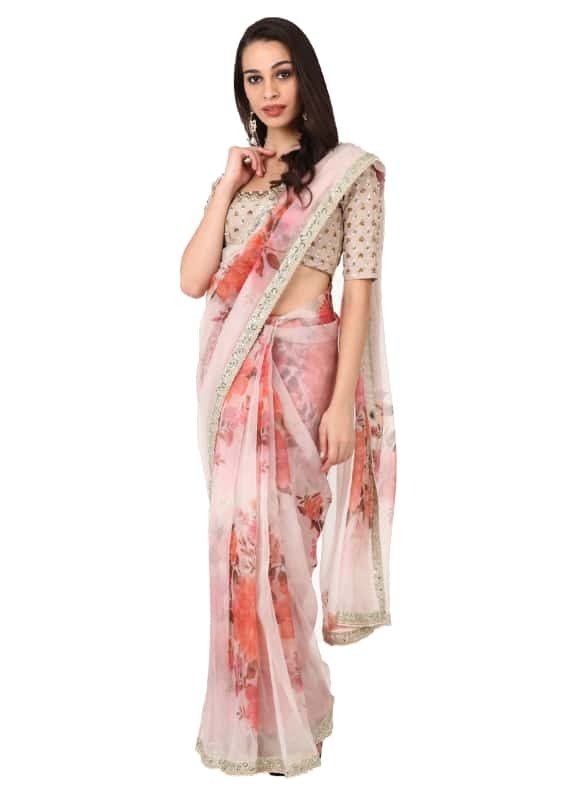 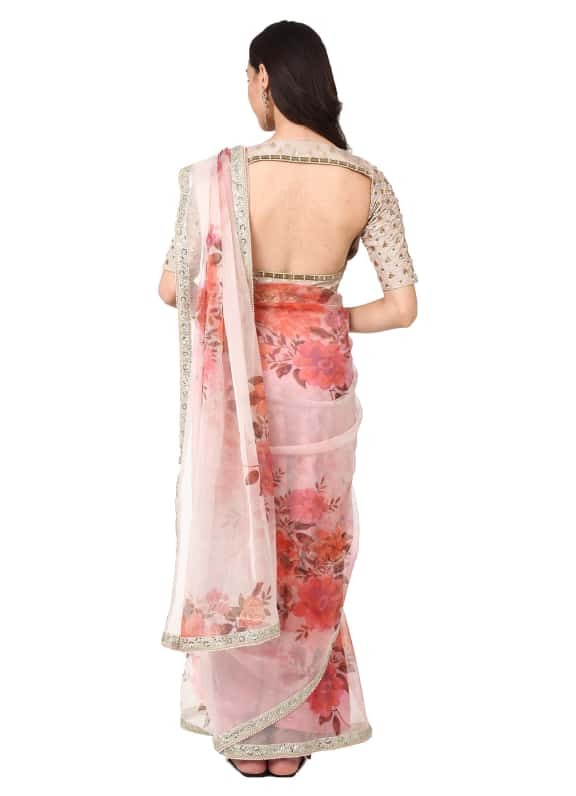 This floral organza sari is paired with a beige blouse featuring sequins and thread embroidery. 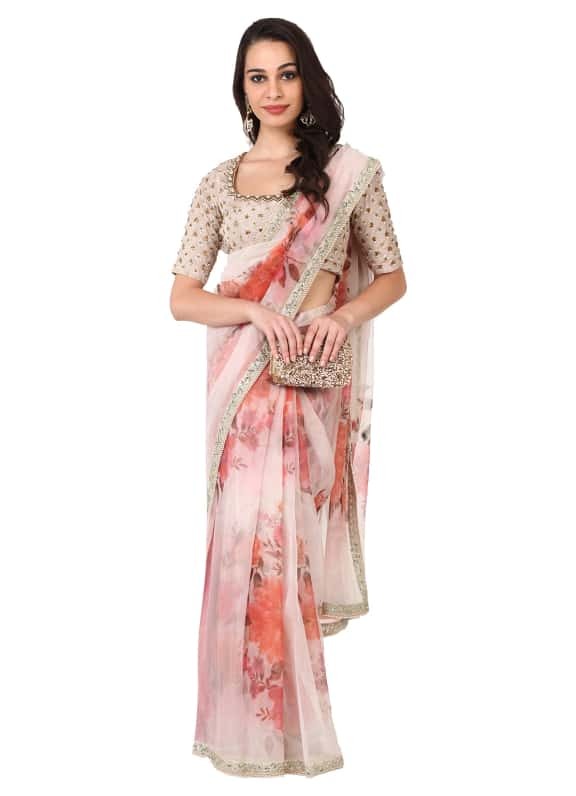 This beige floral sari is just the perfect outfit for your best friend's mehendi ceremony. 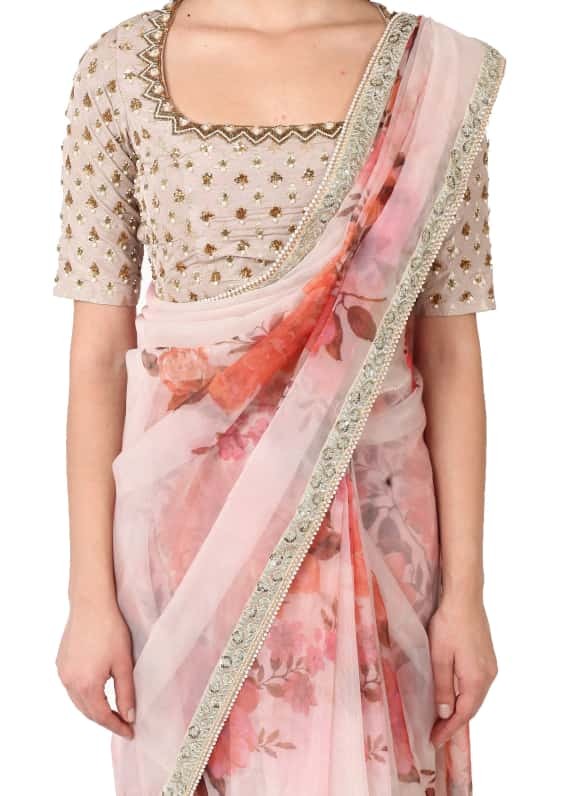 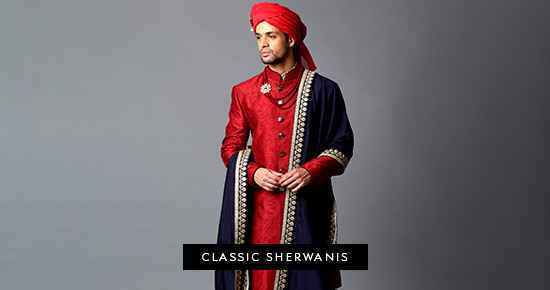 Style it with a pair of Amrapali earrings and an Alana clutch.